Christopher Castellani is the son of Italian immigrants and the artistic director of Grub Street, one of the country's leading non-profit creative writing centers. 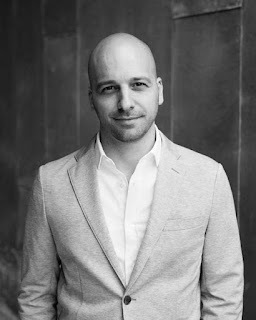 He is the author of three critically-acclaimed novels, A Kiss from Maddalena (Algonquin Books, 2003)—winner of the Massachusetts Book Award in 2004— The Saint of Lost Things (Algonquin Books, 2005), a BookSense (IndieBound) Notable Book; and All This Talk of Love (Algonquin, 2013), a New York Times Editors' Choice and finalist for the Ferro-Grumley Literary Award. Christopher is on the faculty and academic board of the Warren Wilson MFA program and the Bread Loaf Writers Conference. In April 2014, Christopher was awarded a Guggenheim fellowship for fiction. And most importantly of all, Christ is one of the coolest, kindest people around. Thank you so, so much for coming on the blog! I love the whole Art Of series, which takes one brilliant writer who explains one thorny topic in writing, be it syntax, time, description, or in your case, perspective. What made you choose perspective? Perspective chose me, actually, in the form of Charles Baxter, the series editor and the only brilliant writer directly involved with this book. We teach together at the Bread Loaf Writers’ Conference and the Warren Wilson MFA Program, where he sat through umpteen lectures and talks I gave on the subject of narration. 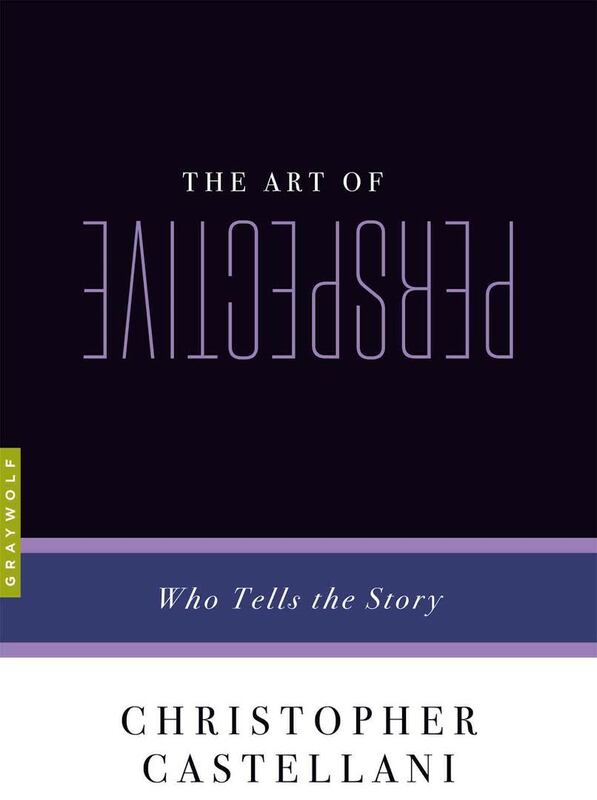 The first two and a half chapters of The Art of Perspective are expanded versions of those talks. I chose narration and point of view as the topic of my lectures because, in workshops, our discussions of revision frequently hinged on the role of the narrator, and I was surprised by how many students hadn’t paid enough attention to the implications of that all-important decision of who told the story. The key to unlocking each story’s revision would invariably lie with that narrator, and yet students seemed almost afraid to turn the lock, daunted by what awaited them once they did. You write that the author must be his character, and yet he or she never can fully be--so the author is occupying two states of existence at all times. I don’t think I’ve heard a better definition of what it is to be a writer. You write “we can’t help but reveal ourselves to ourselves,” which makes me wonder--when you are writing a novel, do you realize the deeper meaning of what you are writing about before you have finished? And then, if it comes as a surprise, does it still sort of feel inevitable? I frequently think I know the deeper meaning of what I’m writing before I’m finished, but invariably I’m dead wrong. I think writers need the illusion that we’re control of the material in order to commit scenes and descriptions and dialogue to the page, but, for me, that process involves a constant bursting of those illusions. As for “we can’t help but reveal ourselves to ourselves,” I meant that quite personally: it’s a reference to the fact that I wrote three novels with mother-son relationships at their core with no deliberate intention of doing so. I’m embarrassed to say that only after the books were published did I see how strongly each of them relied on those mother-son relationships. Granted, I already knew I had mother issues, but they were never so clear as when I got some distance from the novels. While I was in the muck of drafting those novels, I was under the persistent illusion that they were “About” something else, but really they were revealing me to myself through their narrators. That’s the inevitable part, if you’re doing it right: you’re surprised by how much you didn’t know you knew. Another important thing you brought up is the “negotiation” between author and editor. I know many people (not writers!) who think that the writer writes the book, and there you go, and any editing is changing an errant comma or two. But this negotiation is part of the magic, and it often merges two points of views--the author’s and the editor’s--and the book is always better for it. Do you think there is ever a “too many cooks spoil the broth” moment? What you describe is the ideal, of course: a meeting of minds in service of the author’s original vision. The best editors – and I’ve been lucky, all of my editors have been this way -- can see a grown-up version of the book the author intends to write and can skillfully guide the author toward that version without compromising the project’s integrity. That relationship between a good editor and a writer can be magic in that way; the editor can certainly see things the writer can’t. It certainly gets dangerous when more voices come in, especially when those voices are beholden to, say, the marketing department or the bottom line. As you know, my favorite novel of 2015 was Hanya Yanagihara’s A Little Life. In the case of that book, the author held fiercely to her vision and her narrative strategy despite her highly experienced and accomplished editor’s insistence that she cut it significantly and tone down the violence and suffering. She had already written the book in constant consultation with her friend, who read every page and offered his trusted take on those controversial decisions, and so by the time it got to her official editor, it was fully formed the way she wanted it. I mention this because, in an interview, the author said that she would have taken more of her editor’s advice if she’d trusted that it was not given “out of fear:” fear that the book was too long and therefore too big a financial risk to print, too violent to appeal to delicate audiences, too sad for a mainstream hit. I think it’s tough for many authors, especially new authors, to be confident that their editors aren’t editing out of fear, since so much of an editor’s success depends more on the book’s commercial success than its critical reception. I also loved that you talked about intimacy in reading a novel. That’s why you don’t want a lot of pesky adjectives and adverbs, because it makes you see the writer rather than being lost in the world of the novel. But you also write about getting rid of words like “she saw” or “she realized” because it offers up a barrier, and I think you’re right. What other barriers to intimacy do writers make the mistake of using? I want to say that reading this little book was a pleasure--you’re funny, full of stories and your insights are profound. So what was it like writing this? Did you worry you’d miss something? And do you think, that after writing this, your own writing is going to change? Thank you for those very kind words. I certainly wanted the book to be accessible, and for the narrator to have a story of his own; that was part of my narrative strategy. I wanted to emulate, as best I could, the companionable narrator of Howards End, that fellow who guides you along and whispers in your ear from time to time. In early drafts, there was much more of that whispering; I pared it down because it was getting self-indulgent. 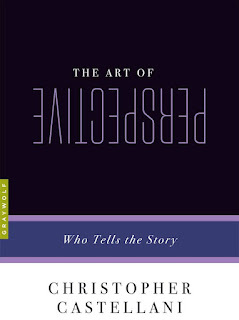 Because Charles Baxter and Graywolf designed the books in the Art Of series to be idiosyncratic, not comprehensive, takes on various topics, I felt no pressure at all to be comprehensive. It would be impossible, really, to be comprehensive with the endlessly complex topic of point of view and narration. A whole series could – and maybe should – be done on this topic alone. And though the series is also supposed to be more meditative than prescriptive, I think the fiction or non-fiction writer who reads The Art of Perspective will find a reason or two to look again, more pragmatically perhaps, at their drafts to determine how they could be improved with a reassessment of their narrative strategies. This happened to me, in fact. Writing The Art of Perspective helped me immensely to figure out not only who would narrate my current novel-in-(slow)-progress, but why they were the best choices, and how they would fit together. I’ve never been so confident in my choice of narrator or point of view, and I owe that all to writing this book. This is no guarantee that the novel will be any good, of course, but at least I’m writing it with greater confidence, and that’s half the battle. How did you go about choosing the books you used for examples? It was a highly subjective process. The books and stories I chose are a small sample of what has obsessed me over the years, the common denominator among them being that the narrator seemed to play a big part in their power and effect. I’m the first to admit that it’s a fairly traditional list, the product of my fairly traditional canonical education, though, within the list, there are some non-traditional approaches to storytelling. Again, I didn’t set out to be comprehensive or even inclusive; these books are but a small subset of one writer’s reading history, the books I thought I understood best through the lens of narration. If I were industrious enough to have my own blog, I’d spend it reviewing a wide range of books and films purely through that lens. You write that you miss the omniscient authors of the 19th century, that they are more confident in their vision. Can’t a writer have equal confidence in using several third person characters? Yes, they can have confidence in their vision for the complexity of each character, and in their overall vision for how those characters fit together to tell the overarching story of the novel. But, often, when a novel features more than one narrator, the goal is to show different versions of the same story, or different takes on a single or collective experience, or different phases of a family’s or town’s history. The result is that prismatic effect I discussed in the chapter, “The Story(ies) of a Marriage.” And, I’m sure you’ll agree, what invariably happens is that readers prefer or align themselves with one of the narrators more than the other, or one section over another. What I’m saying I miss is a kind of unifying vision – often a moral vision, which is wonderfully problematic – on the part of the author from which the reader can’t quite escape, and with which she must negotiate in order to enter into the world of the novel. I loved what you wrote in the “Position of Power” chapter about the comfort of the single story, and the fear of writing a perspective that’s out of our bounds, like Grace Paley’s writing in the voice of a black man. But we should do this, even if doing it leads to terror and thoughts of chucking it all and going to dental school, because that’s our job as a writer, don’t you think, to get uncomfortable, to take risks. Yes, of course we should write from an “out of bounds” perspective, but only if we feel compelled to do so. It doesn’t make you a better or a braver writer to write from a perspective that’s not yours; you don’t get points for being more imaginative or more daring, especially if all you’re doing is reinforcing familiar perceptions. (Who’s tallying those points, anyway?) If a story is nagging at you to be told, but it’s one you feel like you aren’t permitted to tell, then I think you should absolutely grant yourself the permission to write it, or at least try to write it, from whatever perspective. If not, there is plenty of risky terrain to traverse within the realm of “what you know.” Ask Flannery O’Connor or Alice Munro. My main point in the “Position of Power” chapter was how there is often an anxious investment in the prismatic approach, the cataloguing of voices, when writers from groups outside the so-called mainstream claim perspective for themselves. You write about how our perspective shifts as we write a novel. We might think we are writing to get over grief over a loved one, but that grief and how you feel about it changes over the years. Don’t you think that if you rewrote any one of your fine novels, it would come out different, because you now, are different? Absolutely. Every novel is a document of the author’s state of mind – and stage of development and level of maturity – at the time. I don’t see the characters from my first novel the same way I did in 2002; I like to think that if I had to re-write that novel today, it would be richer and wiser. It probably wouldn’t be, but again I’d like to think that. At the very least, I wish I could go back and put more flesh on their bones. That’s maybe why I, and so many other writers, keep re-visiting characters, or writing versions of the same characters, in subsequent books. It sounds so dorky, but right now I’m obsessed with our almost fanatical emphasis on scene. Why does everything I write have to be one scene after another, interspersed with descriptions of the weather? Why do I/we reward aspiring and emerging fiction writers who follow this formula, even when they do it beautifully and powerfully? I think it’s a particularly American rut, and so I’ve vowed to myself this year to read and study novels that aren’t stuck in it. You didn’t ask me if I’d take you out to lunch the next time you’re in Boston to thank you for inviting me on your blog, reading this book, and asking these great questions. But the answer is yes.